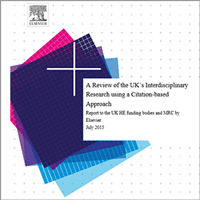 Thissummer, the Higher Education Funding Council for England (HEFCE) published a reporton interdisciplinary research. 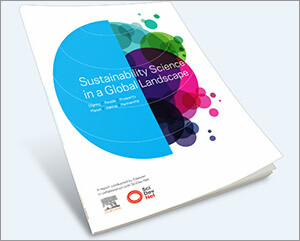 The report, produced by Elsevier, revealedthat interdisciplinary research is highly collaborative and growing inintensity. Thesuccess of interdisciplinary research depends on discovery – on the ability ofresearchers to find collaborators and build networks. With millions ofacademics around the world, this can be challenging, especially when aresearcher is looking outside their own field – or in the corporate world – foran expert to work with. 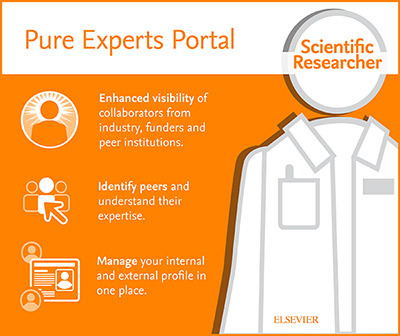 As part of the Elsevier Research Intelligence portfolio of integrated tools and services, the Pure Experts Portal enables institutions to display their research strengths through researcher profiles. To learn more, visit the Pure Experts Portal website. That’swhere Elsevier’s Pure Experts Portal comes in. This month, we launched a new version of theportal: an analytical web-based tool that enables institutions to present theirresearchers, research output and grants publicly. Universities, corporations and other research institutions can customize their sites and choose what content they want to display – people, organizational units and publications, for example. In addition to the data that is sourced from Scopus, institutions can also add grants and activities to researchers’ profiles, for instance any committees or peer review panels they belong to, or key note speeches they have held. The information is accessible to the public, so other academics, institutions, funders and companies can locate the right experts to work with, or find out about the institution’s research strengths. 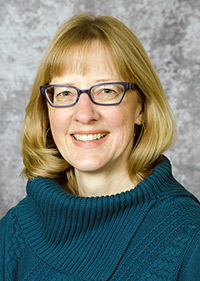 Jan Fransen, Service Lead for Researcher and Discovery Systems at the University of Minnesota, works across Libraries divisions and with campus partners to provide library systems that save researchers' and students' time and improve their access to the materials they need. As project lead for the site Experts@Minnesota , she helps researchers and University of Minnesota departments and centers showcase the work they’re doing. According to Fransen, the Pure Experts Portal supports collaboration between academic institutions and the private sector through Experts@Minnesota. Universities and other institutions around the world – particularly in the US – are using the portal to support their research decisions and boost interdisciplinary collaboration. 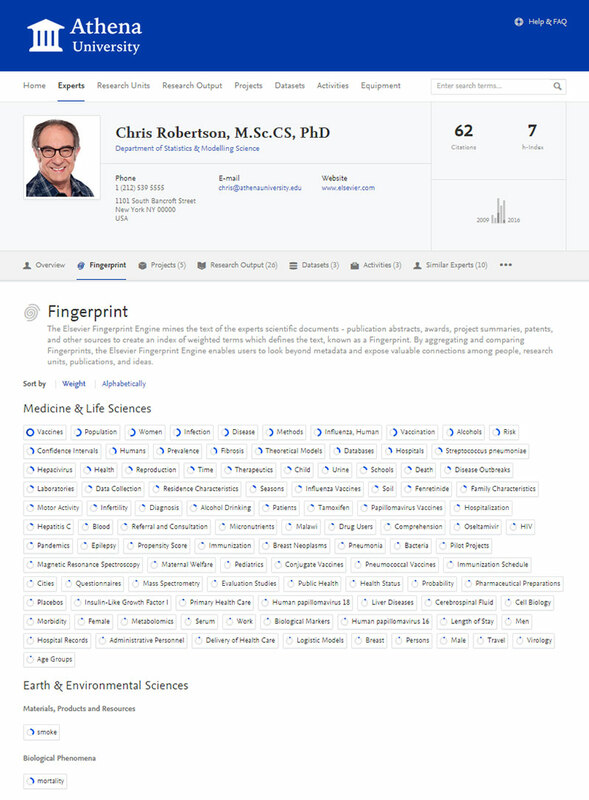 For example, the Mayo Clinic’s site displays 1,078 Experts, 81,000 research outputs (1950 - 2015), 171 Departments & Divisions and 1,442 Grants across three locations to help internal and external people make connections. The Mayo Clinic works directly with patients, who can schedule appointments and locate doctors on mayoclinic.org. If they want to find out more, they can click through to the Experts@Minnesota site. The Pure Experts Portal can also be used for multiple institutions. For the state of North Carolina, the portal helps attract businesses and academics from across the country. 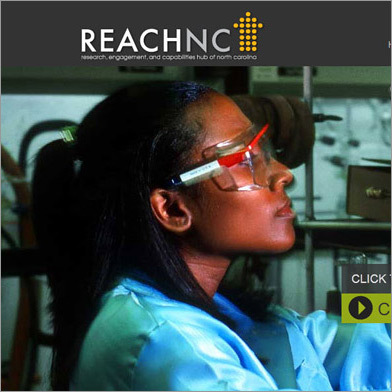 The Research, Engagement, and Capabilities Hub of North Carolina (REACH NC) features information on more than 10,000 researchers, nearly 75,000 grants and 350,000 publications from academic institutions in North Carolina. It’s not just about profiling researchers, says Fransen – for the University of Minnesota, a public oriented university, it’s important to showcase departments’ research output. We have departments and colleges and also a lot of research centers – some have official webpages but many don’t. The portal gives us a platform on which to highlight the work each unit is doing. We’ve had a number of requests since launching the site from units that want to feature their work. One such example is the university’s center working with school districts on K-12 education. The achievement gap between different demographic groups is a big topic of conversation in the state. With their portal, the university can display all the work going on within and outside of the education center, for example in economics and public health. 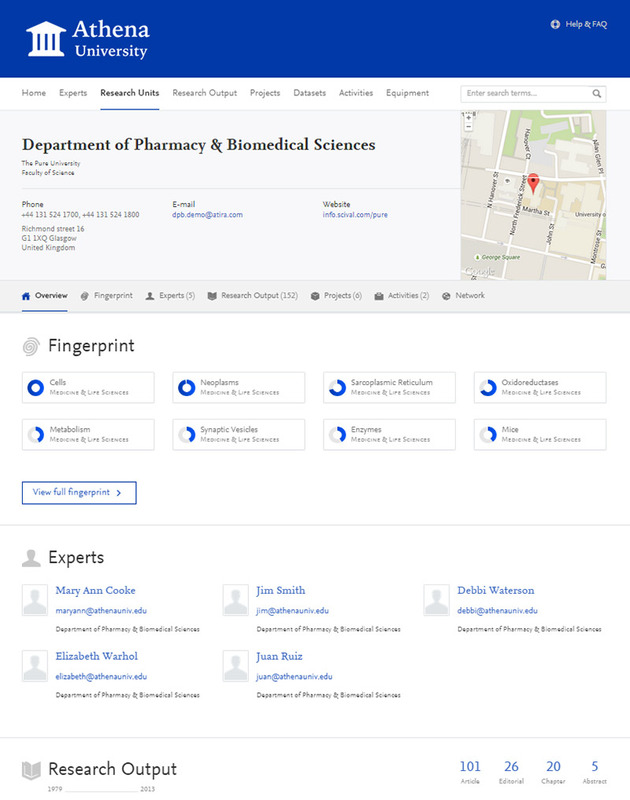 The new portal also has new analytical functionality, including mapping collaborations. Users can see their research visualized geographically, helping them see more easily the work that’s going on in different countries. As well as giving the institution insights into its activities on a global scale, it also helps senior staff prepare for country visits. Fransen says the portal provides dual benefits: showcasing researchers and pulling data together in new ways. A few years ago the US National Institutes of Health (NIH) started a huge program – the Clinical and Translational Science Awards (CTSA) Program – to connect different disciplines and build networks of clinics and practitioners across the US. Pure Experts sprung out of this as a tool that could support such a network. I’ve been involved in developing Pure Experts since the start. My background is as a designer, so I have been particularly involved in the user interface and specifying how Pure Experts should work for customers. We’re using Elsevier Fingerprint Engine technology to enable search and discovery. The technology matches people in a search based on their research profile – their areas of expertise and their recent publications, indexed in Scopus. The technology means people can find researchers by name or by concept; for example, if a team is looking for a collaborator who works on blood, they can search for related keywords and pull together a shortlist of suitable people. It’s an exciting time to be launching the new portal, and we are looking forward to hearing how customers are using the portal to spark collaboration and support their research strategies. 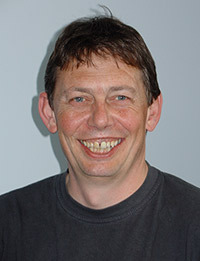 Henrik Steen Rasmussen is the Head of Product Strategy, Research Management at Elsevier. He has held a variety of creative positions, including roles as a photographer and graphic designer at a research center for experimental archaeology. In 1999, he was hired as a designer by an internet company, where he was responsible for look and feel of the user interface for a content management system that was the predecessor of Pure. Before Pure joined Elsevier, Henrik was responsible for the original user interface of Pure. Since becoming a part of the Pure management team full-time in 2005, he has been involved in user experience as well as being responsible for the Pure metadata model and customer engagement. 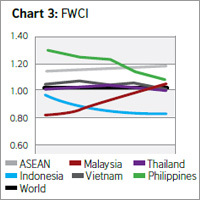 Interdisciplinary research: How do 9 nations compare?